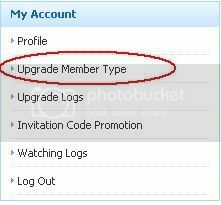 When you checkout, you will be brought to Paypal to complete the transaction. MovieOnline.cc regularly uploads the brand new movie releases in the first time. Posted originally by gypsiegirl66 HERE. 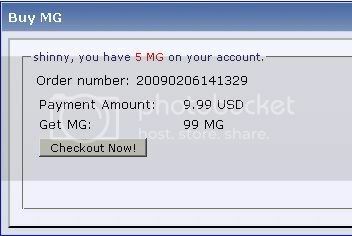 If you want to buy MG's on a non-smart phone and if it has a browser or has mobile web access then you can buy mg's similar to the way you would online. The screen will look a bit different, and there are a couple of more steps to it..
You will be taken to another page where you will have to scroll way down & click on CHECKOUT NOW. You be taken to another page that tells you the risk that your connection may be temporally interrupted & and that personal info maybe accessed during this time. If you wish to continue then just hit your okay key on phone. The next page will be your order summery and it will allow you to pay with Paypal or credit card. I suggest having a Paypal acct. if you do, click on Paypal and follow instructions. If you choose to pay with credit card then fill in all required info and hit REVIEW & CONTINUE. That is as far as I got, not needing any points. However, if you choose to you should have no problem buying the MG's with mobile web/browser. Note: I personally would go to Walmart & pick up a visa gift card, they come $10,20,30 at some stores and $25, 50, 100 in others.... Other countries I don't know where you can access that, you should be able to go online and look it up for you area/country. Using a gift card will protect your personal banking issues. Also, if you use your phone web for personal things that would contain you personal info I would delete my history. Remember there will be a small window of time that your info will not be protected, so you want to make it as safe as you are comfortable with when you make any purchases on your cell browsers. Last edited by gypsiegirl66; 02-16-2012 at 08:08 PM. EDIT: NOTE: Currently, Paypal is still an option, but the manner in which one can purchase using PP has changed. I will update when I find the post explaining the new information.